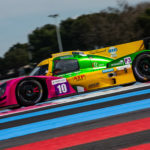 There is a Norma racecar on pole at Paul Ricard for the opening round of the 2019 European Le Mans Series, and it’s the one fielded by Oregon Team. Damiano Fioravanti was the class of the field yesterday as he set the fastest lap in the closing moments of the qualifying session. He has an advantage of more than a tenth compared to the second-placed car. The 22-year-old Roman driver, making his debut in the European championship, has been on top since the collective preseason test, then dominating the first of the two free practice sessions. Fioravanti impressed with a quick yet extremely consistent pace. On the other hand, Gustas Grinbergas (the 16-year-old Lithuanian who set the second fastest lap time in Friday’s Bronze Test) proved just as competitive, as well as Lorenzo Bontempelli, with whom he will share the cockpit of the French racecar. It was a thrilling pole, given that in the first few minutes of the timed session Fioravanti had ended up slightly off at Signes while overtaking a slower competitor, and then had to spend a couple of laps to clean up the tires. “Apart from the incident, everything went smoothly – commented Piergiorgio Testa – The car was perfect and all three drivers were consistently very fast“. 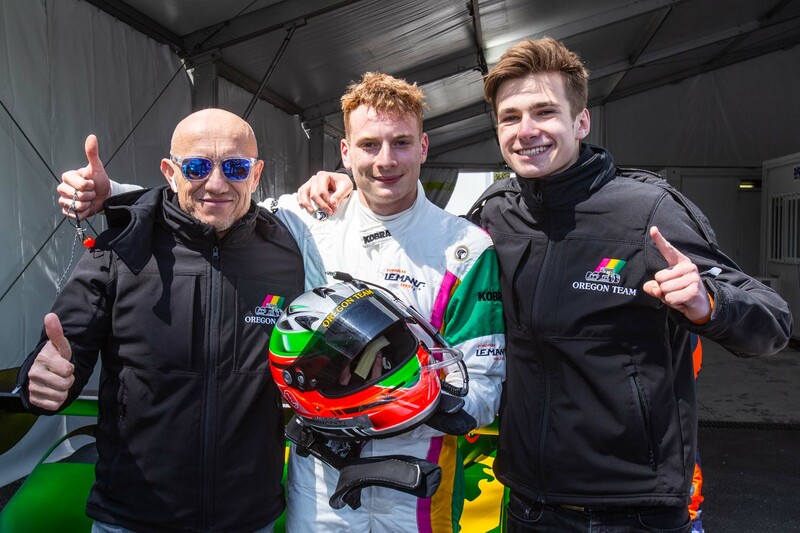 “After doing well in the test and then in the free practice, the imperative was to grab the pole too“, added Jerry Canevisio, who is missing the event due to a date clash with another championship that sees Oregon Team involved at Mugello in the first round of the Clio Cup Italy. Oregon Team lining-up for its third season in the European Le Mans Series, yesterday’s one is a historic pole, also because it was the first in the series. The 4 Hours of Le Castellet will start at 12.30, again with live streaming on https://www.europeanlemansseries.com.